Do you have some amazing Backing Tracks? Scales and modes are a progressions of notes in a specific order. The scalelibrary contains knowledge of the most used scales. The options of scale- and patterngenerator is easy to use and let U explore your guitar like never before. Best of The Best Guitar Soloing JamTracks. Play incredible solo's that'll make the hair stand up on the back of your neck. Guitartonemaster is an online Backing Track archive which makes learning scales, modes, licks easier. It accompanies the jamtracks with addional information such as the key, tempo, chordprogressions & scale- mode- suggestions. Tracks in all keys and scales that can be used for either electric or acoustic guitar. The only secret in becoming a better guitarist is practice. Jam! Jam with Professional Bands. Improvisation starts here! Anytime, Anywhere At Your Own Time And Pace... All our Jam Tracks are offered free, so you can access them immediately. Free guitar backing tracks no vocals for beginning, intermediate and advanced guitar players. Play your jamtracks right now and practice in all 12 keys. A backing track is an musical accompaniment which gives guitarist the possibility to play over and practice licks, scales & modes, exercises or improvisations. We have tons of HD Backing Tracks Videos in all genres. 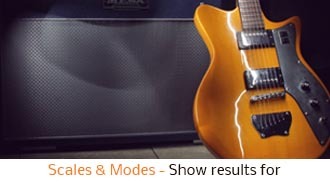 An inspiring collection of guitar backing tracks for both novices and professionals. So what you're waiting for? Develop your playing skills by jamming along with our backing track. GuitarToneMaster.com is devoted to providing you with the free guitar backing tracks for guitar practice. Guitartonemaster is happy to announce that we’ve got something new feature that will help you save a time finding the perfect backing track. If you want to dive right in, go to the top 100 Guitar Backing Tracks and find amazing jamtracks. Practicing scales, arpeggios and modes all day! 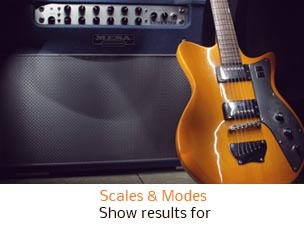 Use our scale & modesuggestions and use them to compose and play great guitar lines and solos. Jamming every day is so important to your progression as a musician. Enjoy the Backing track library so you can jam along to many different styles of music. Practice, Improvise & Improve today! Wished you could play and improvise guitar riffs & licks easily and naturally? Start right here at GuitarToneMaster.com where we want accomplish one thing: Make you a better guitar player! The vast collection of tunes featured on this website, are in various keys, tempos and time signatures, meaning that you will be able to improve your flexibility and your understanding of many different musical settings. Discover the best way to master blues improvisations and practice your blues licks with this High Quality Backing Tracks in all keys. Do not waste unnecessary searching on the Internet and use your valuable time for what really matters: Playing guitar! Guitar backing tracks YouTube, Spotify, BandCamp, Vimeo. We collect them all! #1 Way To Improve Your Guitar Playing. Your search for the best backing tracks ends here. 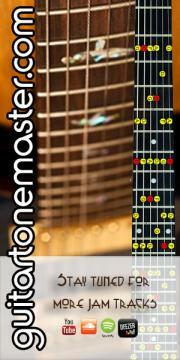 GuitarToneMaster is an archive of Guitar Jam Tracks and dedicated to provide guitarists with the best backing tracks. Improvise with Major, Minor, Pentatonic, Harmonic, Diminished,... scales on with our high quality, well structured, and fun Guitar Backing Tracks. Please share this site! Tell your fellow guitarist, friends, family, colleagues and pets. Jam with our backing tracks & the entire band arrives at the touch of a "play button". Improve your technique, leads, improvisations, riff creation with your own virtual private bands. GuitarToneMaster.com The Ultimate Resource for every guitar player. With over 2019 professionally jamtracks in various genres, this library cannot be found anywhere else with new tracks added each week. Guitartonemaster.com is the best way for learning to improvise and training your guitar skills, use this site every day in your guitar practice routine and you'll notice the benefits! Stay tuned for more guitar backing tracks, play-along tracks, practice back tracks, accompaniment tracks & jam tracks!